When it comes to website traffic, one of the most important things to learn about is measuring the effectiveness of the work you do to improve your traffic. First, each goal you make needs to be specific, measurable, achievable, and time sensitive. These are called SMART goals. You can look it up, it’s a real thing. Next, you need to set up a Google Analytics Account. It’s not hard to do, if you already have an email address and a URL for your website, you’ll want to set it up. Go to Google.com/Analytics to set up the account. Follow the prompts to do so. You’ll need your URL, and a Gmail account. Once you are set up, you’ll get a code to put into your site. If you use WordPress, your theme may have a spot for this code, or you can use a plugin like Google Analytics by Yoast. Otherwise, you’ll need to add the code to each page you want to track. 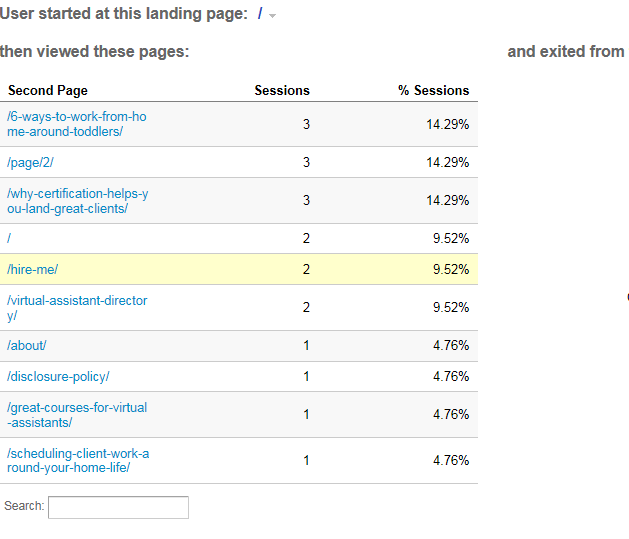 Google Analytics will give you more information on how to do this. With your code in place, you will now be able to collect data and view the stats. It might take a couple of days before you start seeing any data, so just keep doing the things mentioned here and check your analytics periodically, at first. Later, when you’re more established, you can start checking more often. This is the very first thing you will see when you sign into your Google Analytics account once it’s activated and you have some visitors to track. Until you learn how to set it up completely it is counting your visits, too. But, that’s okay for now. In addition to how many people are coming to your site, it’s good to know from where they came. Google lays it out for you in terms of organic, referral, direct and social traffic. In Google Analytics, you’ll find this information under Acquisition Overview. You can also, as you get more used to using Google Analytics, set it up to be more specific and even set conversion goals and more. From this area, you can set up goals, and get information about where your visitors came from. 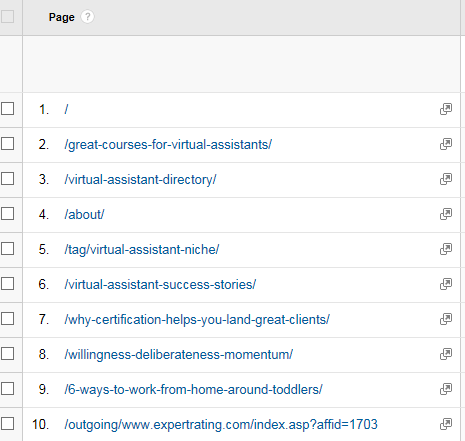 Knowing where most of your visitors come from is helpful. If you look at the pie chart above, this website is fairly equally distributed with social search being the lowest. More than likely the reason is due to lack of effective social activity. In Google Analytics look for “Behavior” then click on “site content” and you can learn about which landing pages your audience is more likely to come to as well as on which pages they exit. These are important to you now because you want to perfect not only who comes to your website but also where they go. 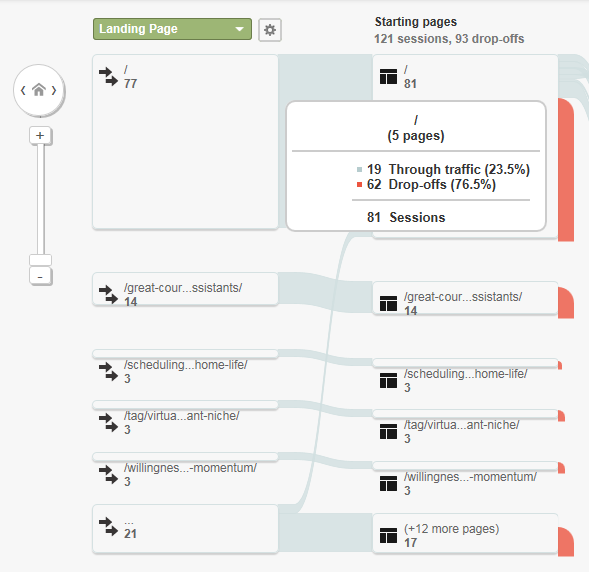 You can even look at the behavior flow of your audience. For example, you can see where they landed, and what they did after they landed by looking under Behavior > Behavior Flow. The following two images are on one page on your Google Analytics Dashboard. But it would be too small to view in this article. The information these provide you are important because they help you know who is viewing your website, from where, and what pages they come in on most and leave on most. This information is valuable because it can help you improve the areas that need improving. For example if you see that you have a few thousand visitors coming in to your sight via a certain landing page but none of them are converting, you may realize you need to make that information more targeted toward your ideal client. So much can be learned from studying Google Analytics, but first, you need to start getting targeted traffic. 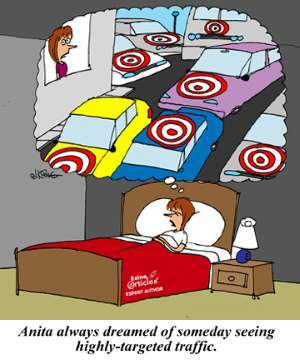 Targeted traffic is those people who want and need what you’re offering.